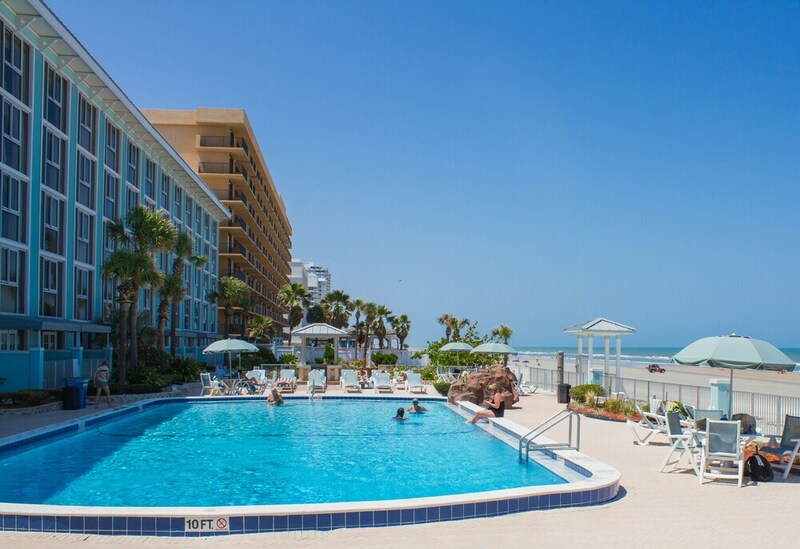 When you stay at Grand Seas By Exploria Resorts in Daytona Beach, you'll be on the beach and close to Andy Romano Beachfront Park and Boardwalk Amusement Area and Pier. This beach condo is within close proximity of Trinity Lutheran Church and Our Lady of Lourdes Catholic Church. Make yourself at home in one of the 165 air-conditioned rooms featuring kitchens with refrigerators and stovetops. 32-inch flat-screen televisions can provide entertainment. Conveniences include microwaves and coffee/tea makers, as well as phones with free local calls. Dip into one of the 2 outdoor swimming pools or enjoy other recreational amenities including a steam room and a fitness center. This condo also features complimentary wireless Internet access, an arcade/game room, and tour/ticket assistance.